There is something very appealing about a small, individual cake. 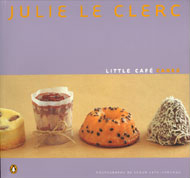 Enticing and charming, the versatility of the little cake means it can double as the perfect dessert. This book provides straightforward recipes for an array of smart little cakes with seriously good flavours.